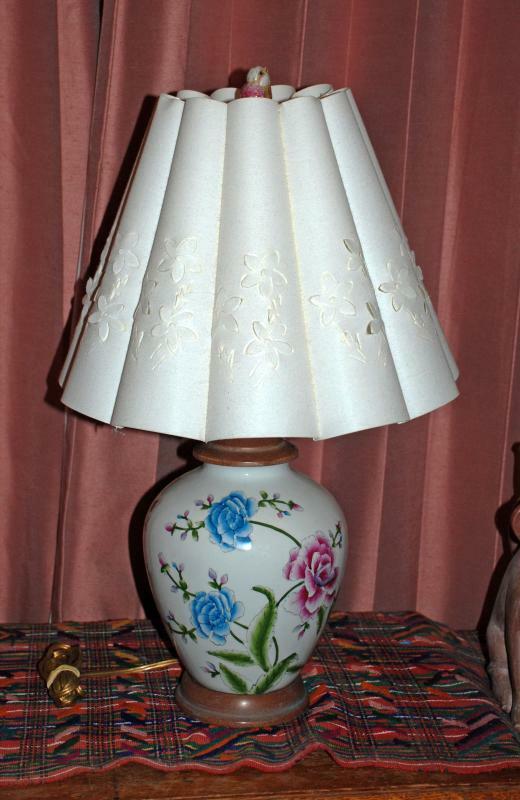 Asian Ginger Jar Peony Ceramic Lamp with Fancy Flower Shade & Porcelain Bird Finial.. 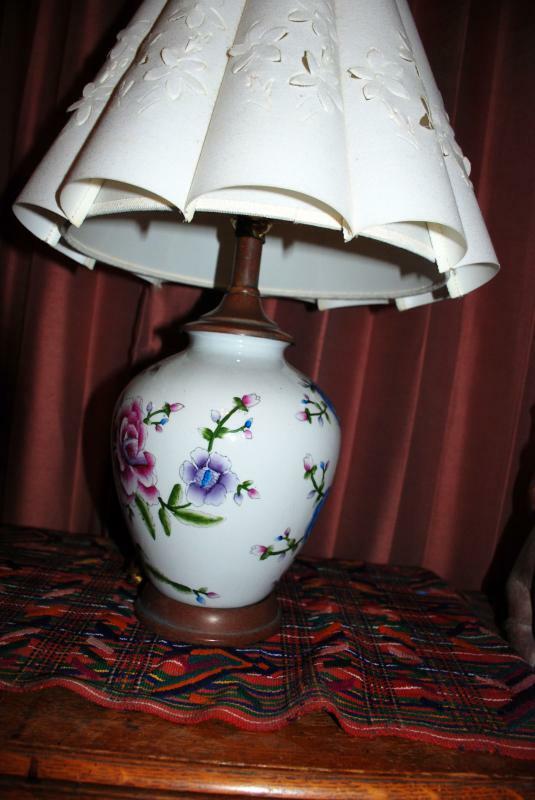 This lovey and colorful lamp has al that is beautiful. The ceramic porcelain ginger jar shape is covered with pink and blue peony flowers. The hardware is brass. The total height is 13.5" from base to finial and the width of the middle of the ginger jar is 17" . The shade is flocked with partially cut out flower shapes some are just outlined and some flare out a bit. 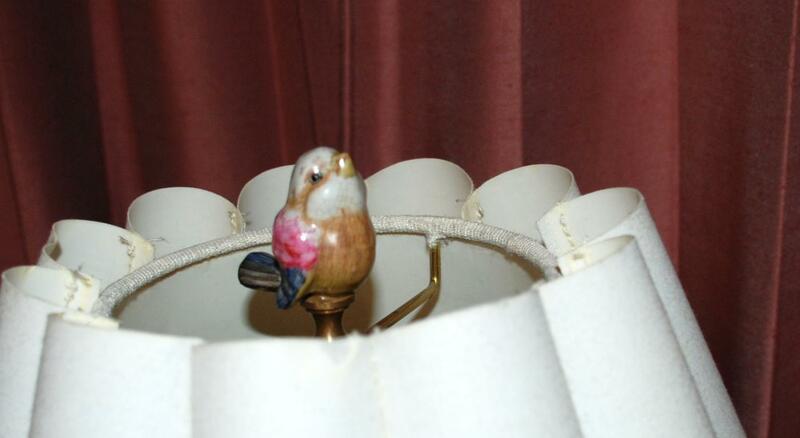 There is a really cute porcelain bird finial that I don't think is original to the piece. It looks antique and is really cute. 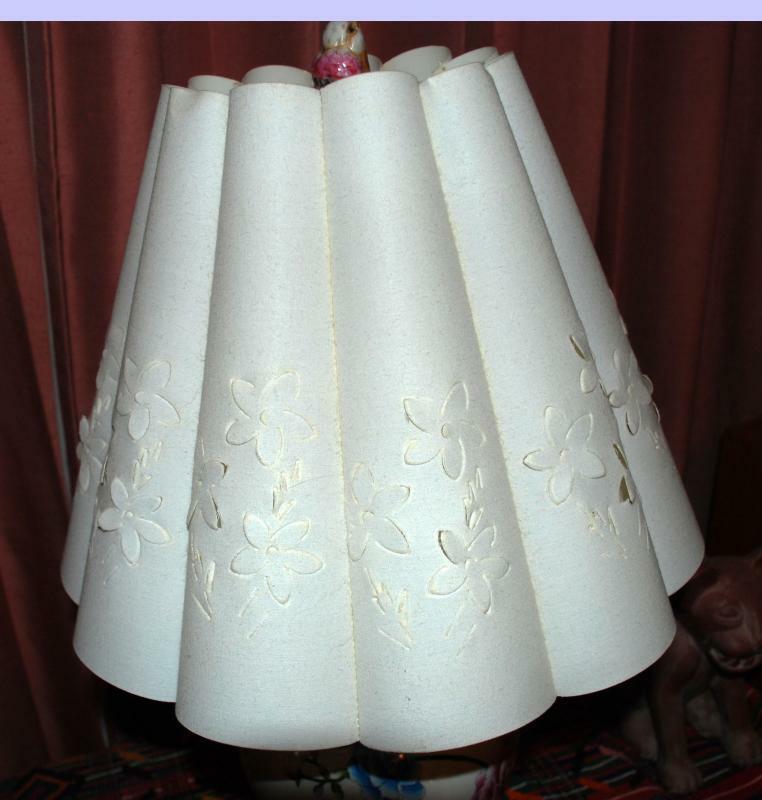 The lamp, shade and bird are all in excellent condition. The wiring is new. This item came from an estate sale ... it is vintage, pre-owned but not antique.